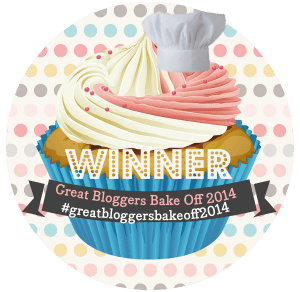 You may recall that to co-incide with the finale of the Great British Bake Off, I ran a final Great Bloggers Bake Off Showstopper Challenge, where I asked baking bloggers to submit a marvellous baking creation for the chance to win some fantastic prizes. 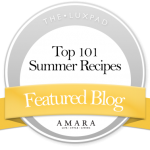 There were some brilliant submissions and luckily for me I did not have to judge the winner and the 2 runner up bloggers, because I left that to the lovely Lisa Faulkner, who very kindly gave up some time to take a look at the entries and pick her favourites. She admitted that it was hard picking just 1 winner, but she has and I have to admit that she has chosen my favourite too. *waits for a dramatic pause as they do on the bake off when they are announcing who stays and who goes and who won the final*………………………………………………………………. 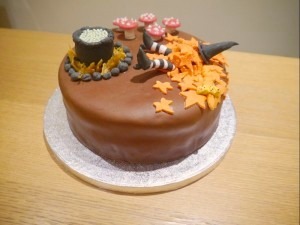 Yes Jenny’s Room on the Broom Chocolate Autumn Cake is just so clever isn’t it? I love the attention to detail and knowing the book inside out and infact hosting a Room On The Broom birthday party for Burton last year (yes pimping a post of my own lol), I fully appreciate the creativity that has gone inot this cake. 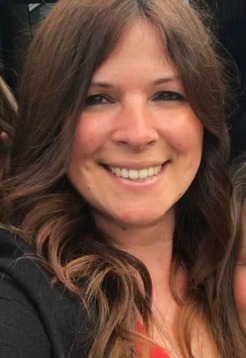 So congratulations Jen – you have won the £30 worth of bakeware from Viners, who will put together a package of some bakeware products for you. Naomi’s Choc Orange Autumn Crunch which is an individual piece montée made up of a chocolate sponge base covered in orange buttercream and chocolate ganache and topped with a profiterole filled with orange creme patissiere all drizzled with caramel. Sounds heavenly! Well done Naomi you have won a copy of the GBBO Cookbook. So well done to Jacob, Jen and Naomi -if you would like exclusive GBBO winner and runner up badges (see above) plese let me know and I can email them over. So thanks again to all of you who baked along with me this year – I know entries were lower due to the complexity of the bakes so I really appreciate your support, and I hope to see you all again next year. Unless of course I see you on the TV baking along for real!!!! Thanks for organising everything Jenny, I think the right person has definitely won! I love that dinosaur world. I’m so glad that Jacob won, it’s so well deserved as he’s worked really hard! I can’t wait to see him on bake off one day. Thank you for hosting and organising everything yet again – see you next year!! OMG!!!!!! I wish I was picking him up from school today to tell him! 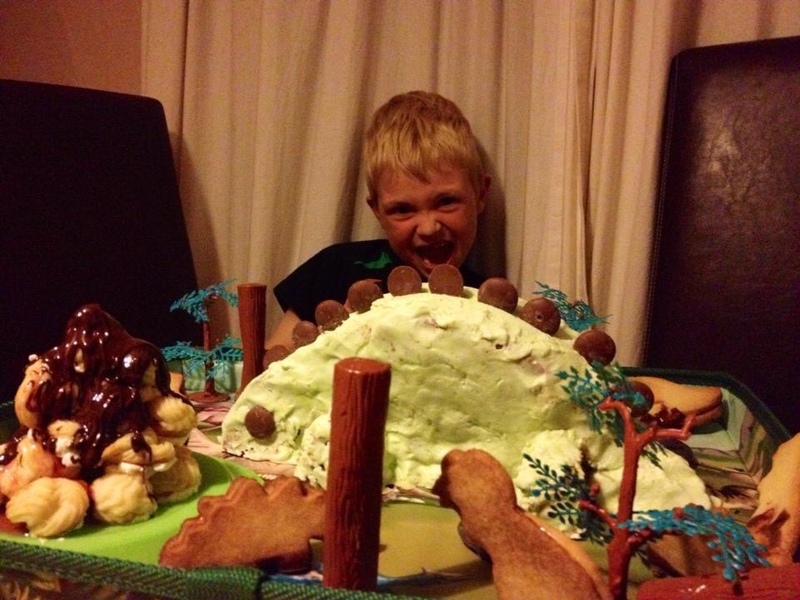 We loved taking part and this was the first one where he did all the baking by himself and didn’t ask for help. Thank you so much! Wow, great cakes. That dinosaur is amazing. Also YEY Beckie and (shameless plug) if your missing baking along with the bake off, why not join the Hummingbird Home sweet Home bake- through that Beckie and I have embarked on.